JANUARY 10, 2008, NEW DELHI KISPL has been promoted to take advantage of the changing economic scenario due to liberalization and globalization of the Indian economy by leveraging knowledge and experience to focus on offering services across multiple sunrise sectors of the economy. 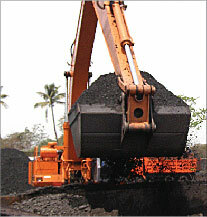 KISPL is responsible for coal procurement, marketing and selling activities and utilizes the experience and knowledge gained through being a high volume supplier of imported coal for over 15 years. Presently, KISPL’s efforts contribute over 10% market share of imported thermal coal requirement of India’s Power sector. The promoters have a sound track record of more than 15 years. The company deals with large and reputed clients e.g. SAIL, BSES, MMTC, MSEB, Rio Tinto, Noble Energy, Glencore, Bulk Trading, Digvijay Cements, Tata Power, MALCO, GHCL, PSEB, Jindal group etc. january 10, 2008, new delhi KISPL aims to dynamically evolve as India’s leading energy management company by following an integral corporate concept of converging the production, trading (both international and domestic) and delivery to ensure complete customer satisfaction by optimising the fuel and other energy requirements of the industry. Forth flotation Froth flotation is a technique for cleaning fine coal. 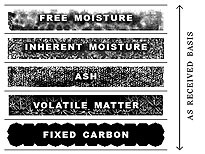 Unlike most coal preparation techniques which rely on density differences between coal and mineral matter, flotation is based on the hydrophobic nature of coal, ct. the hydrophilic nature of minerals.